Size of this PNG preview of this SVG file: 475 × 599 pixels. Andre opløsninger: 190 × 240 pixels | 381 × 480 pixels | 476 × 600 pixels | 609 × 768 pixels | 812 × 1.024 pixels | 563 × 710 pixels. 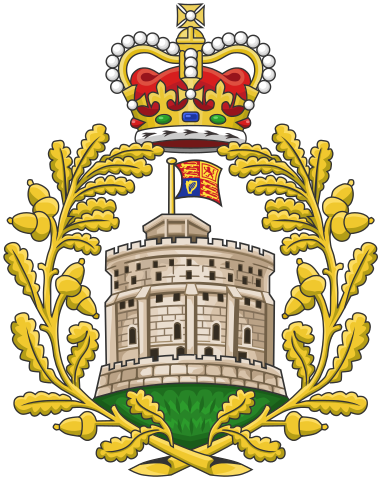 The Badge of the House of Windsor (the ruling royal house of the United Kingdom and the other Commonwealth realms), as approved by King George VI in 1938. In the style used from 1952 to the present.